Do you sometimes feel you can’t squeeze any more performance out of your campaigns? You’ve optimized everything, and you just can’t boost performance much further? Have you looked at your international options? Articles on PPC tend to focus on the US market. Let’s take a look at the massive opportunities in the international market, from a US perspective. The US, whilst the biggest search market, still only accounts for approximately 17 percent of searches conducted globally. As you can see, there’s a lot of search volume to be had beyond the US, even if you limit your market to the larger English speaking nations, like Australia and the UK. 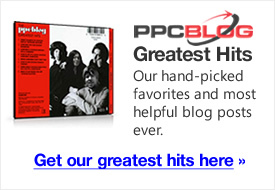 Also, being a US-based PPC operative, you may have a serious advantage in those markets. If you’ve been doing PPC in the US for a while, and you’ve mastered intermediate-advanced techniques, you may be able to out-compete international PPC operators in their local markets, because they haven’t had to fight so hard. Lower levels of competition means campaigns may be run a bit looser than what you’re used to. A generalization, of course, but generally true of less competitive markets. And there’s another advantage: exchange rate. Given the US dollar is currently weaker against some other major currencies, you can make bank on the exchange rate alone. For example, the UK pound is, at the time of writing, worth $1.54 US. If you price your merchandise/services in pounds, without converting, you gain a 50% margin. People spend a UK £ pretty much like you spend a US $, so, depending on your market, you may not have to adjust your price figures. But before you think it might be too easy, here’s where the locals may out-gun you…. Whilst most aspects of your PPC campaign will remain the same – your bidding strategy, CTR, Quality Score etc – there are differences you need to consider. Generally speaking, advertising targeted at US consumers is different to the advertising targeted at, say, UK consumers. US advertising tends to be seen by more reserved cultures as brash and over-the-top. In order to appeal to consumers in the UK, tone down a hard pitch a few notches. The easiest way to find the right level is examine the landing pages of competitors in your target market. It’s not just that spelling is different i.e. color vs colour – the underlying psychology is different. This is a generalization, but notice that not all cultures are as optimistic and motivated by personal success as the US. Benefit propositions tend not be pushed quite so hard. An article in the Independent, a UK newspaper, highlighted the differences in the advertising world: Less business, more arts and entertainment:. In America, advertising isn’t that socially glamorous – they’ve got Hollywood after all – and its practitioners aren’t so famous, but they make millions and it’s an acceptable career choice for a decent MBA graduate who thinks creativity is something best left to window-dressers. That’s not directly applicable to the direct marketing channel, but it gives you some idea of different underlying culture behind advertising and acceptance thereof. The good news, for US advertisers, is that the web is making everything more American. People are growing more accustomed to the hard sell, online, at least. Again, study your competitors in terms of pitch, and revise accordingly. If your budget allows, try to hire a copywriter based in the target market to adjust your copy. Having a local domain name, and indicators of local presence, can help. Just as you are likely to notice domain names that don’t end in .com, people in other countries are typically more comfortable buying from domains with local extensions, particularly when it comes to the delivery of physical items. It doesn’t tend to matter so much for merchandise or services that are delivered digitally. It also helps if you can provide a local free calling number, and if possible, a local service address. This is not to say any of this is necessary. People will buy from anywhere, if the deal is right. How do you feel if you see a checkout denominated in a currency other than US dollars? It can be off-putting. It can feel more risky. Same goes for people in local markets. If you can, provide local pricing information. If not, at least provide a currency exchange widget. If you’re doing the ad writing and copywriting yourself, don’t forget the obvious stuff – terminology and spelling. Here’s a useful translation dictionary for different spelling and terms. I have become a fan of this great blog lately — you give away excellent thoughts and info. What you say about foreign markets is right on the money, no pun intended. I am multilingual and a SEO/SEM/PPC professional and I have done SEO and AdWords in foreign languages (chiefly French and Russian) for American clients, and it’s amazing how much easier it is to get excellent results. This is because competition is much more fierce in English than elsewhere (with some exceptions, of course, but they only prove the rule). This is some nice info about PPC advertising in non US markets. Many a times local language won’t work for non US markets. I’ve been facing the opposite challenge lately – that is, converting non-US AdWords campaigns into US campaigns. I’ll have to agree with the first comment that the competition is definitely tougher. A lot more DKIs and long tails sure makes it harder and CTRs suffer as a result of this. In my opinion, displaying prices in USD in both ad copy and on landing pages is critical even though many non-US companies don’t seem to care too much about that. A local domain is become very important. Interesting article on international PPC AdWords campaigns. In my point of view, a prerequisite for a successful cpc campaign mainly lies in the local domain name. As an Adwords-specialist living in Europe, I have done several international CPC AdWords campaigns for clients within various professions – and the trend is clear: clients with local domain names, local currency pricing etc etc tend to convert better. advertising into new markets/countries, often starts of with a single landingpage in the new target-language – but retain their original domain and currency. I have yet to see this type of PPC campaign convert as well as it (maybe) did in the original language. But once the clients realizes the importance of local pressence and make the right adjustments in relation to domain, pricing, etc., the results are clear: better conversion-rates. So my my advice to companies who want to enter the European market with succes is: Do NOT underestimate the power of local presence. I had a thought today and can’t seem to find the answer anywhere… for location purposes and regional PPC targeting does your type of english you use influence the region ( Ie Brittish, Aus , US ) ? to elaborate my adwords are all set as english ( British) , however i’m creating ads in Australia – do I have to take that into consideration ? and how does that effect people with an OS setup with a alternative english.